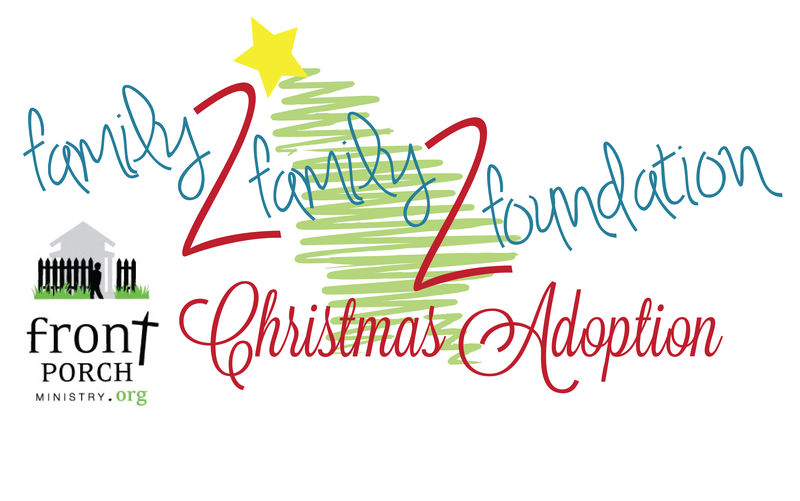 Thank you so much for your interest Front Porch Ministry’s 8th Annual Family2Family Christmas Adoption. All funds donated are tax deductible and will be used to purchase Gift cards by Front Porch Ministry through designated funds that are collected between November 16 – December 14. The gift cards will be given (along with a Christmas stocking full of treats) to each family to purchase Christmas gifts. Many of the families we serve, do not have transportation or the means of shopping. So we are offering to take many of them shopping along with volunteers on December 12th. 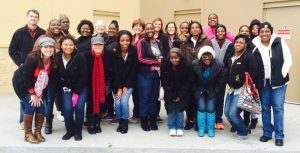 Adopting families and the families being adopted are all been invited for times of connection to go shopping and wrap their gifts with volunteers on December 17th and to attend our Women’s Gathering on December 3rd. These upcoming events are designed to encourage relationships and hope through connection. We will also have many more opportunities for connection throughout the year as well. In the past we have connected families directly and allowed the shopping and donation to go directly from the donor to the family and have had both blessings and challenges. Although we LOVE the connection of families, we have come to learn that it is very import ant that the family (or families) donating financially remain anonymous to our families receiving so that new relationships between our Front Porch families and volunteer (and donating families) can begin on a neutral ground that is not based on giving and receiving materially, but instead on friendship and hope. We have found that this protects the families donating from being asked for financial assistance again from our families struggling in crisis. We are requiring that all donations & family assistance take place through Front Porch Ministry to keep ongoing relationships & friendships alive with healthy boundaries place. There will be lots of opportunities for face-to-face interactions among families throughout the Christmas Season and throughout the coming year. Relationships are key to impacting others. YOU CHOOSE HOW MUCH – Every Bit helps! Two upcoming events are volunteer opportunities for you to connect with your family, even though your donation will remain anonymous. There are always a few moms who cannot shop the date of the “shopping/wrapping & lunch” date above and will need assistance with a special shopping trip with their gift card. We realize that you are choosing to put less under your “tree” so that you can put more under some else’s “tree” who is less fortunate. We are so grateful for your partnership in making Christmas a special time for all the families we serve. Please let me know if you have any questions or are interested in volunteering in these upcoming events or learning about our other events.